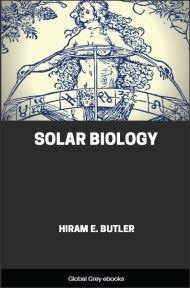 In Hiram Butler's Solar Biology, everyone is divided into twelve archetypes based on their natal sun sign. The planets are also used, but only the sign they occupy is important; the angles between them are ignored. This makes it easy to create a horoscope, as the time and place of birth are no longer required. The tricky computation of the rising signs and houses is skipped. 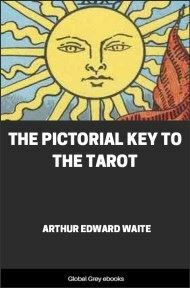 You just look up the positions, then read the matching page in this book. The result is a system so simple, practically anyone can do it. 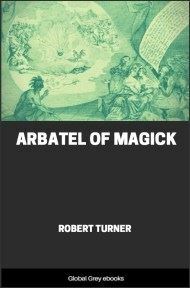 It may seem strange to some when we tell them that this system is the foundation principle of the whole order of the Hebraic and Christian Bible, which is the Only book wherein we find indications of the prior existence of this science, unless perchance in the Cabalistic writings. But from the first chapter of Genesis to the last chapter of Revelation, we find unquestionable evidence of its having entered into the history of the origin and life of Israel, and the grand prophecies which point forward to the condition or time for which Jesus taught us to pray; viz., that God's kingdom might come, and his will be done on earth as in heaven, are characterized and formulated according to the laws and mechanism of this system. We give only a few of the leading points in evidence, in this work, to guide and assist the student, as. suggesting how he may enlarge thereon, and through their agency make more extended research and application of the principles; for this little work is mainly intended to make available the practical, or personal, and business benefits to be derived therefrom. Therefore we do not attempt to elaborate the sublime lengths, breadths, heights, and depths of this grand system, which far exceeds the grasp and comprehension of the human mind in its present degree of unfoldment. 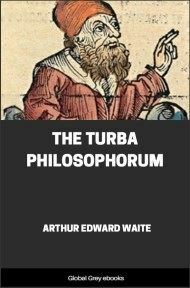 We do, however, give a few conclusive and useful evidences for the benefit of the many sceptics,—whose numbers are rapidly increasing,—with the desire that they may learn and appreciate that in this ancient book (the Bible) there lie many hidden treasures of priceless value, as yet almost wholly unexplored. In the first chapter of Genesis we are given the order of the seven ages, and seven stages of the earth's unfoldment, originating by or through the Word of God. 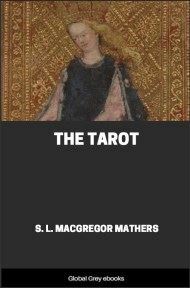 A word is the concentration and formation of the thought potencies of the thinker, sent out by the will, endowed with all the essences of its author. We often hear people remark, "I conceived an idea of such and such a thing," without any apprehension of the great natural truth that thoughts are generated, conceived, and born into existence by the action of the intellectual faculties, as literally as are children, and that the same essences of our life are used for the one that are required for the other; so that it is not merely a fable that God instructed Moses to say to Pharaoh, "Let my son go," and that the natural mind does now, and always has, claimed sonship to God. We have all, from childhood, been familiar with the saying, "We are God's children." Paul affirmed this in its broadest sense when he said, "By the Logos (the Word, or effectual utterance) the worlds were made." 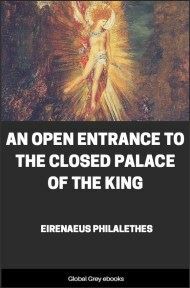 The Bible attempts but a very brief sketch of the order and ages of unfoldment up to the time when the first man appeared on the face of the planet, having attained the likeness and image of God, in that he was. able to receive inspiration, and take cognizance of, and think about, God. Thus he stood as the one living; Word or expression of God, as recorded in Genesis i. 26. Thus he became the visible Logos, the one from out of which, we are told, in symbolical language, went four rivers, which form of speech was always used in ancient metaphysics to symbolize the generation of people; thus, four kinds of humanity flowing out from the one, was after the pattern and manner of the heavens. As we examine the twelve signs of the zodiac, we find them divided into four heads, or departments, as hereafter explained in this science. We have but a faint idea of the progress and unfoldment of these four rivers of human genealogy, as there has been preserved to us in the Bible but a brief history of the career of one of these branches. In the time of Abraham we find an effort being made to restore the image, or Logos, which was continued with Isaac, and brought into external form with Jacob, thus giving us an admirable symbol of the trinity of man's existence: Abraham, the spiritual father; Isaac, the soul or thought body; and Jacob, the physical expression and progenitor of the twelve tribes of the children of Israel. In him (Jacob) was given a prophetic picture of the present existing conditions in the world. Under the conditions which this prophetic picture foreshadowed, ten-twelfths of the sons of Israel were born under parental conditions, where there was no true spiritual love existing between the parents; and either through Jacob, or the mothers being instructed so to do, we find that they gave the children names which expressed the true nature of all persons born under similar conditions, from that time to the present. We also learn that these names not only express the nature of children born under those circumstances, but they also express leading characteristics of the persons born in the twelve signs of the zodiac, and that they are given in the exact order of the twelve periods of that zodiac; and we are led to see that they were born under the twelve mental conditions which represent the fulness of the heavens. The student will find abundant proof in this system of the truthfulness of the above statement: thus we see that certain mental conditions are necessary, otherwise a child of a certain quality could not be conceived, and we find a distinct relation or expression of these qualities is registered by the position of the earth and solar system at the period of birth. This fact being thoroughly evinced, we are forced to conclude that the movements of the planets of our system constantly wield a controlling influence upon the life and thought of the people of earth.